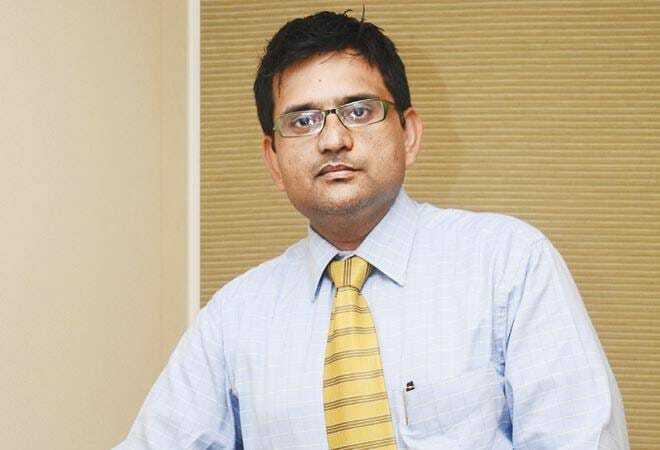 "Instead of long-dated gilts, investors should look at short-term bonds"
R.Sivakumar, Head - Fixed Income, Axis Mutual Fund, talks about the Reserve Bank of India's decision to maintain status quo in repo rates and how the next year will pan out. R. Sivakumar, Head - Fixed Income, Axis MF, talks to Renu Yadav about the Reserve Bank of India's decision to maintain status quo in repo rates, its impact on bond yields and debt funds, and how the next year will pan out. The Reserve Bank of India's decision to keep the repo rate unchanged, in the latest monetary policy review, took many by surprise. Were you also anticipating a repo rate cut? The RBI had indicated in the previous two monetary policy decisions that it was maintaining an accommodative monetary stance. This suggested that the central bank would cut interest rates though, of course, the timing would be uncertain. Thus, the change in stance to neutral in the February policy was a surprise. How justified are the inflation concerns of the RBI? Core inflation appears stable at just under 5 per cent, while it is the soft food inflation (1.3 per cent) which has led the overall inflation down to 3.2 per cent. In particular, it is the fall in fruit and vegetable prices in the wake of demonetisation that has contributed to the largest fall in food inflation. RBI points out that food inflation could easily reverse in the months to come - which would, in turn, take overall inflation back to the 4.5-5 per cent range. This concern is justified. However, the RBI should have held similar concerns earlier. After all, falling food inflation was one key justification for the October rate cut. Going with the same information (similar core inflation), RBI has delivered three different monetary policy outcomes in the last four months. The 10-year benchmark bond yields have risen sharply after RBI's monetary policy announcement. Is this the end of the bond rally? Where do you see bond yields in the next one year? Bond yields have risen as the RBI changed its monetary policy stance to neutral. This indicates that the RBI does not expect to cut interest rates in the upcoming policy meetings. This is a significant change from the previous two meetings when the RBI maintained an accommodative stance. Investors who buy long bonds anticipate returns from the yield and any potential capital gain from a fall in rates. In the absence of rate cuts, yields have to rise to compensate. Thus, we expect market yields to remain elevated in the near term. What does the RBI's change in stance from "accommodative" to "neutral" mean for debt investors? The RBI has signaled that interest rates are not going to be cut in upcoming policies. This suggests that investors should not look to long-dated gilts from the point of view of making gains. Instead, investors should look to short-term bonds as they offer higher yields and have less price risk. Do you see the RBI increasing repo rate by the end of 2017 or cutting it? We are faced with two opposing macro forces at the moment. The impact of demonetisation is to lower growth - and potentially inflation - in the near term. But globally we are seeing a resurgence of inflationary pressures, especially in commodities like oil. For the RBI to change rates this year, we should see either the domestic macro deteriorate more than expected or global commodity prices rise more than expected. At the moment, we are not expecting RBI to hike rates in the coming year. But should the impact of demonetisation prove deeper or longer lasting than currently anticipated, we may see rate cuts in the coming months. Debt fund investors suffered losses due to the change in the stance of the RBI. What would be your advice to them? Risk and return go hand in hand. Duration/ dynamic funds have given great returns in the past three years. In the recent past also, they have seen large MTM gains post demonetisation. It's not fair to look at MTM risk only on the way down. Further, investors should not confuse between near-term market volatility and their longer-term investment objectives. Given that we are approaching the end of the rate-cut cycle, we do not expect big MTM gains from duration strategies going forward - especially with a three-year perspective. Our preferred segment is the short-term segment, which provides a much better risk-return trade-off. Further within that segment, funds with a tilt towards corporate bonds on a diversified basis can be considered. More people are opting for SIPs in equity funds and the share of B15 cities in equity AUM is rising. Has there been any improvement in retail participation in debt funds? We have certainly seen a broadening of investor participation in debt funds in line with the increase in their corpus over the past few years. However, these funds are still more popular within HNI investors rather than smaller ticket retail investors. As far as debt investments are concerned, Indians still prefer fixed deposits and post office savings schemes. What will it take to make investors look beyond FDs? The trend is definitely changing. The big trigger is making of savings and PF rates market-linked. That's when people realise that there is a market risk element in other products as well, and not just debt funds. The MF industry has also done a good job in creating product structures that are more relevant to retail investors. As MFs keep delivering superior risk-adjusted returns, more and more investors will be willing to give MFs a chance. This is the same process we have seen happen in equities as well.